Lady Gaga’s Born This Way Ball World Tour Announces North American Dates with Support from Zedd & Madeon..
– September 18, 2012Posted in: The. Wire. LOS ANGELES, CA (September 18, 2012) â€“ Today, 5-time Grammy Award winner LADY GAGA and Live Nation Global Touring have revealed complete details for North American leg of her The Born This Way Ball World Tour! Following overwhelming ticket sales and sold out shows throughout Europe, Australia, New Zealand and Asia, The Born This Way Ball will continue in 2013 visiting 25 cities in North America including performances in New York, Los Angeles, Chicago, and Toronto. In this brand new tour, Gaga performs her latest album Born This Way as well as music from both The Fame and The Fame Monster. The Born This Way Ball began on April 27th, 2012 in Seoul, South Korea. Tickets for North America go on-sale beginning Friday, September 21st at www.LiveNation.com. The Born This Way Ball is Lady Gagaâ€™s first tour since the release of her album Born This Way (Streamline/Konlive/Interscope), which has sold nearly 6 million copies worldwide since its release in May 2011. The album is the follow-up to back-to-back Grammy Award-winning albums 2009â€™s The Fame Monster, and 2008â€™s The Fame. Combined, The Fame and The Fame Monster have sold 15 million albums worldwide, while Lady Gagaâ€™s hit singles have combined sales of over 90 million worldwide. Gaga was named Forbes’ Most Powerful Woman in the World 2011 and was included in Time’s annual “The 2010 Time 100” list of the most influential people in the world. With over 2.2 billion combined views of all her videos online, Lady Gaga is one of the biggest living people on Facebook with over 53 million â€˜likesâ€™ and is #1 on Twitter with nearly 30 million followers. She has also recently launched hew own social network just for fans, LittleMonsters.com. Lady Gaga is the only artist in the digital era to top the 5 million sales mark with her first two hits. 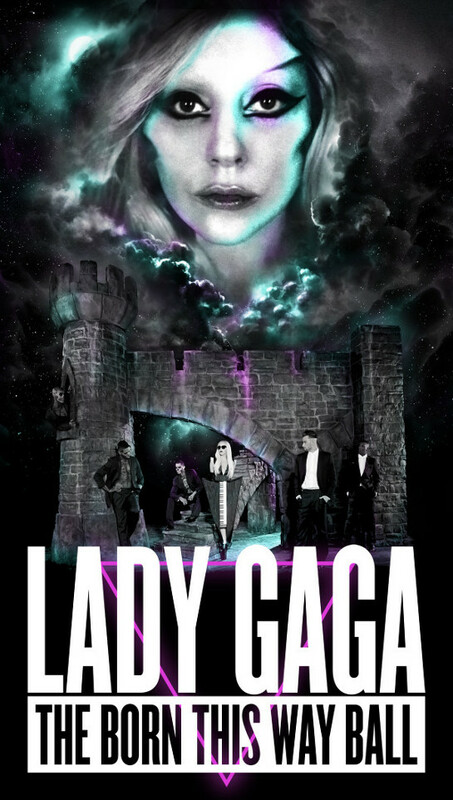 CitiÂ® is the official credit card of the US leg of The Born This Way Ball. CitiÂ® cardmembers will have access to presale tickets beginning Wednesday, Sept. 19th at 10am through Citi’s Private PassÂ® Program. For complete presale details visit www.citiprivatepass.com.